The attorneys at KALIS, KLEIMAN & WOLFE have extensive experience handling commercial and residential real estate purchases and sales. We represent buyers, sellers and lenders in real estate transactions throughout not only South Florida, but the entire state of Florida. 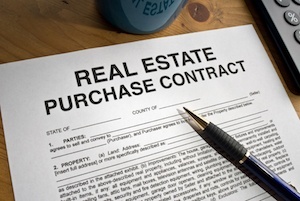 Purchase agreements for buyers and sale agreements for sellers are important legally binding documents that should never be signed without legal representation. An attorney can help to ensure that the rights and obligations of the buyer or seller are protected. We understand that the sale or purchase of a home, condominium, business, or development property is a major financial investment and that mistakes can be costly (for example, losing your deposit or losing the property). Our real estate attorneys understand the legal complexities and technicalities involved in real estate transactions and are well-versed in the laws related to real estate purchase and sales transactions in the state of Florida. We can articulate the legal complexities in plain language so that you fully understand what your options are and be empowered to make timely, well-informed decisions. If you need assistance with a real estate purchase or real estate sale, or have a real estate dispute, contact our real estate lawyers today for knowledgeable and experienced legal counsel. We welcome your inquiries.